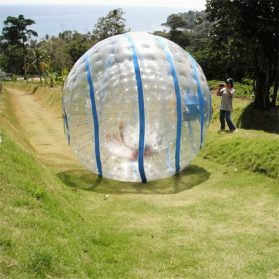 Human bubble ball is suitable for both children and adult playing together! They can wear it comfortably and bump to each other or play football together. 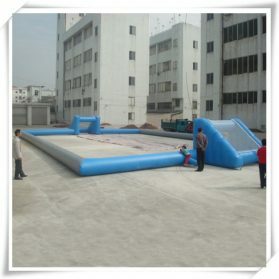 It is suitable for playing on grass, ground and snow. 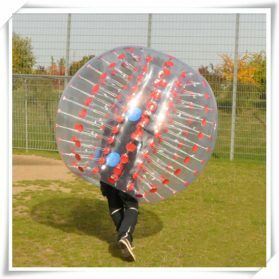 Bubble football is a good choice for amusement activity. It not only can be played for fun but also can be for improving health. 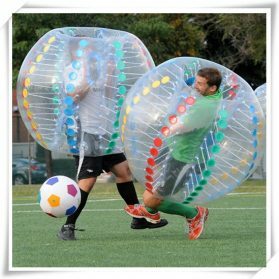 Let’s have fun together with the bubble football ! 1. At least Double& Triple Stitched, Reinforced Seams. 2. Strength ~ Durability ~ Longevity. 3. Built to withstand commercial use like rentals. 4. One of the longest, extensive & comprehensive warranties in the industry. 5. High quality digital printing/hand drawing. 6. Easy set up and deflate. 1.We test each product for 3 days to ensure the toys seamed exactly well. 2.We provide repair kit for free,which including material and for repairing in case. 3.We will guide you to repair the ball and make compensation for them accordingly. 1. Custom Designs available for different branding, strings, entrances, handles, harness, cushions, valve, zipper. 2. Material: 0.8-1.0mm PVC or TPU, Abrasion Resistance, Outstanding Flexibility, Lead free, Waterproof, Fireproof. 3. Professional Machines for Cutting, Welding and Printings to ensure quality. 4. Each product includes Air Pump and Repair Kit (glue, same colour materials). 5. Air Pumps are CE, UL and GS approved in 110v-120v or 220v-240v with various kinds of plugs. 6. Durable Zippers (with lubricant) for water balls. 8. Glue and lubricant can only be shipped by sea. 9. Strong packing bag and export carton for transport and reuse. 11. Payment: T/T (bank wire transfer), L/C, Western Union, Money Gram, Pay.pal, Escrow with 30% deposit. 4). We will start production upon receipt of 30% deposit. 1.Make sure no sharp things on ground when playing the body zorb. Need a capet the common ground. 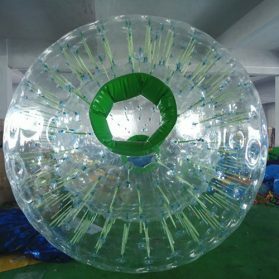 3.Make sure to check the body zorb ball is in a good condition belt and handle is firm before playing. 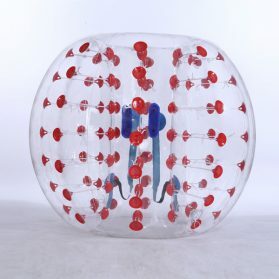 4.Please keep the sign “UP” on body zorb in right direction, Do not slide in the body zorbing in a wrong drection. 5.Player should be in belt, hold the two handles. 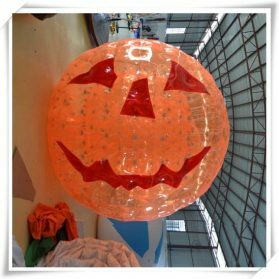 6.Children shoule play with the accompany of adults.People with heart disease, high blood pressure and physical weak shall not play it. 7.It is for bidden to use in rain day, and the wind above level three. 1.You should not be involved in the activities of the ball. 2.Suffering from heart disease, high blood pressure and physical weaker tourists. 3.Age of 65 should not participate. 4.Weight preferably not more than 300 KG. 5.This product can be produced according to customer’s requirements. 6.Free Accessories For Your Order:Zipper Oil, Glue, 20M rope storage bag, and instructions.